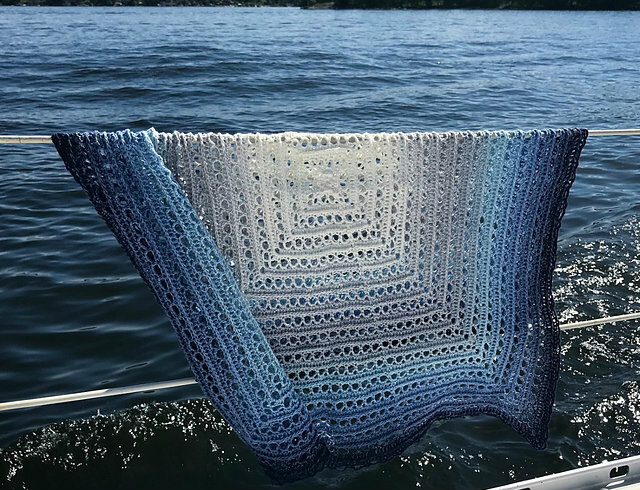 Create a simple and quick blanket for yourself and your family. See what beautiful blanket it has colors and textures. The blanket is delicate and light. It is made in the form of a lace. Has beautiful blue shades. It looks very impressive. Blanket size is 90cm x 90cm. Is made of Scheepjes Whirl. Take a blanket for holiday travels. It works great in the field. It will protect against cold and heat. It’s a free pattern. Good luck! 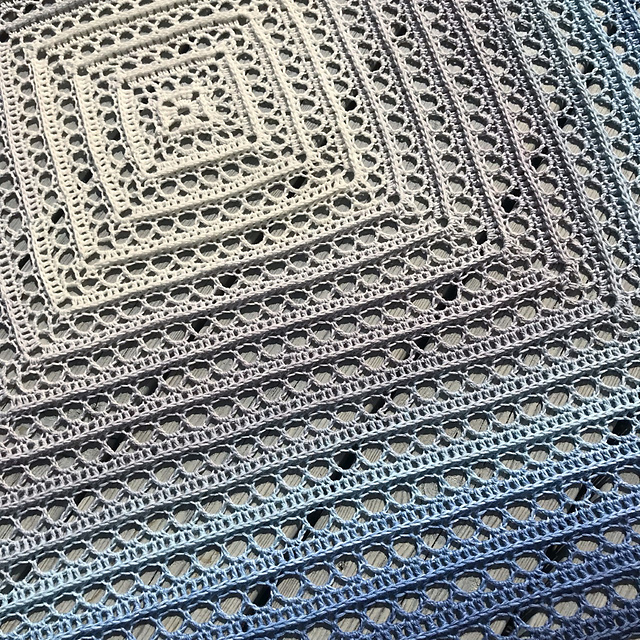 Midnight Walk Blanket Free Crochet Pattern is here.